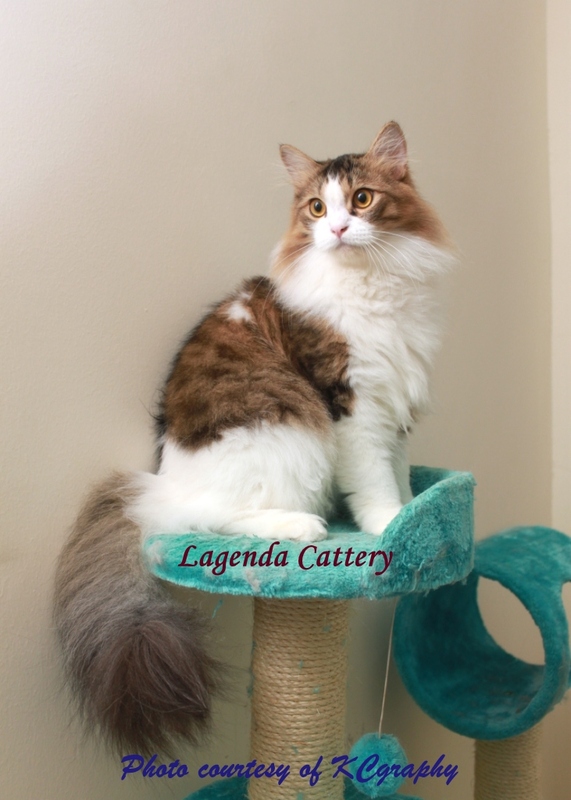 LegendaryBoboy (or Boboy for short) and Husky Dusky came into our life on Sunday 6 February 2011 and nothing was the same again. You can read about them here. We have entered them in a few of the locally organised competitions and am happy to note that between the two of them, they have won several ribbons of merit. However we have to retire Dusky from the competition hall as he is forever stressed and would hide under the blanket through out the day, the poor baby! 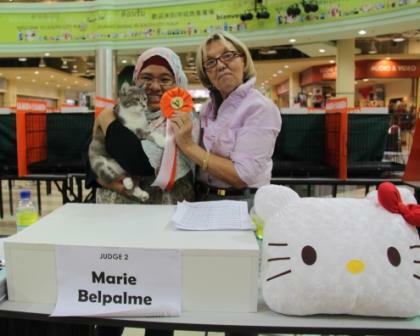 Boboy is a natural, he was the Highest Scoring HHP during the CFA Show held on 3 December 2011 at the MINES organised by the Asia Pacific Cat Club. He was placed as no. 1 in two rings and no. 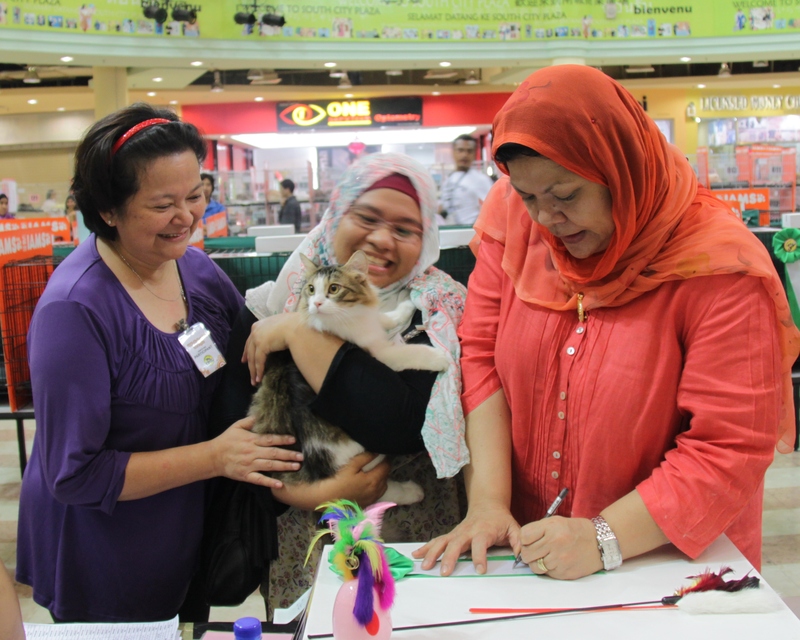 2 in one ring at the Malaysia 2012 Finale Cat Show held at the Sunway Putra Mall on 14 April 2012. 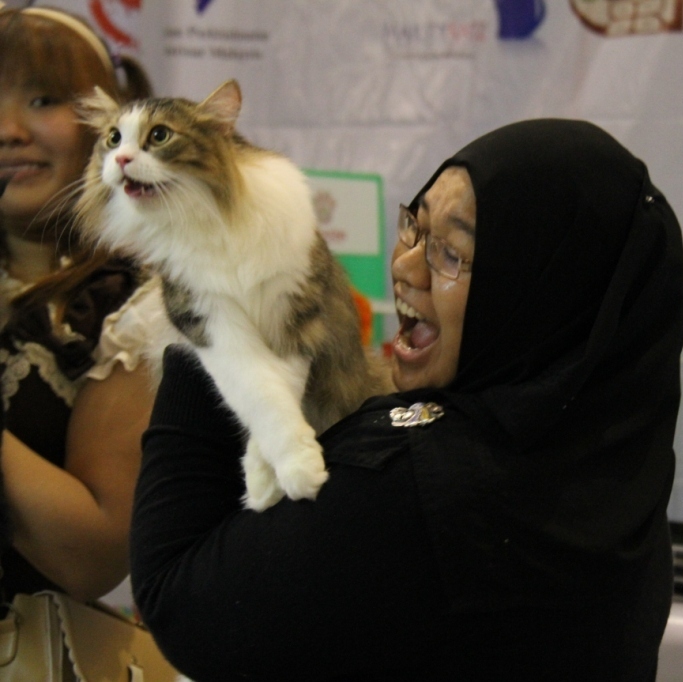 He was also the Best HHP at the Fabulous Felines-TICA 1st International Show held on 20 May 2012 at the SSTwo Mall, PJ. 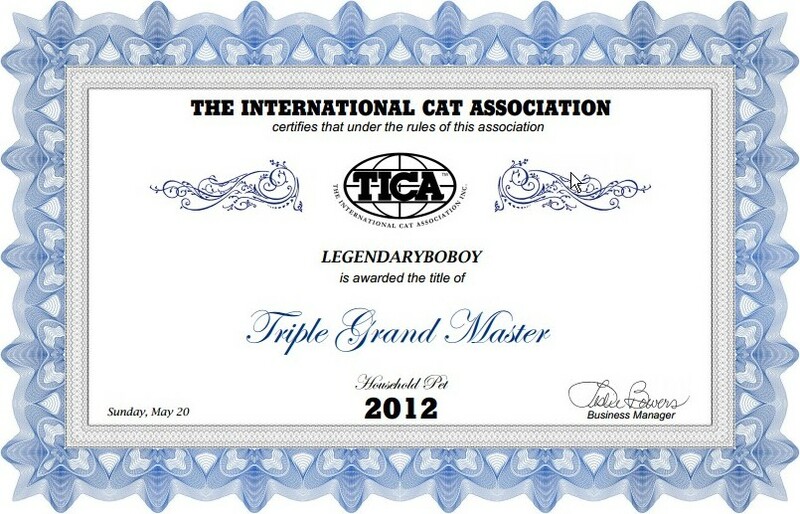 Based on his excellent performance at the TICA show, he is now a Triple Grand Master! 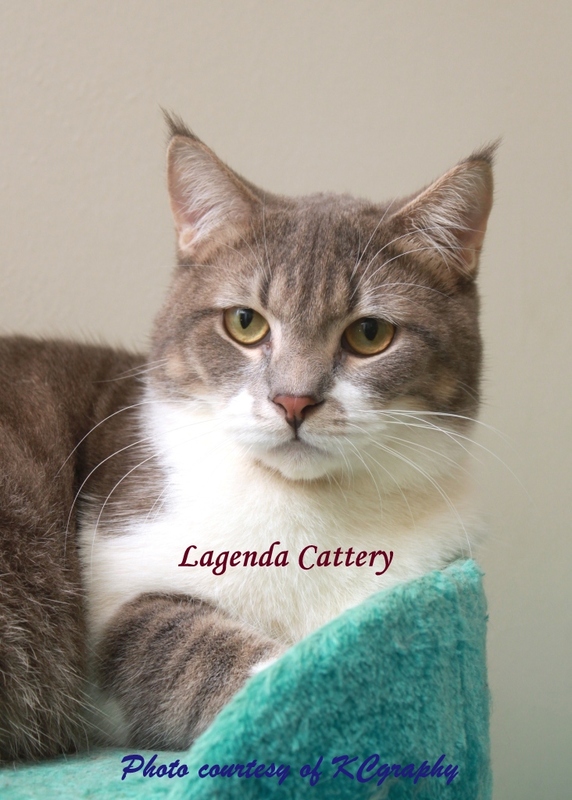 Am so proud of this boy! 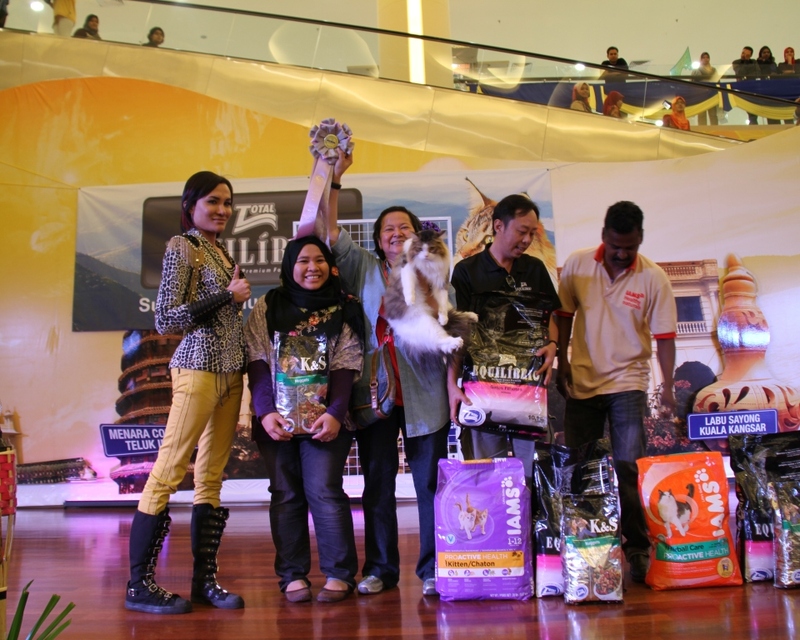 At the Mydin Malaysia Day held on 15 September 2012, Boboy again did us proud by getting no. 1 in Bob Zenda’s ring, 2nd in Jan Rogers’ ring, 5th in Wakako Nagayama’s ring and 3rd in Theresa Imboden’s ring and came home with the coveted Highest Scoring HHP rosette! I was so proud of him, I could burst!